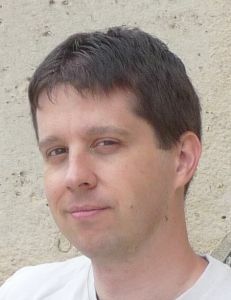 It was 2008 when Botond Markovics, AKA Brandon Hackett published his last book Machines of God. It was high time that he would make the fans of his works and the critics of the Hungarian sci-fi scene happy again. As an individual who fits into both of these categories, I was immensely pleased after reading his new novel, The Book of Man, which was recently published by Agave Publishing House. As time passes, it is just natural that the readers learn more and more about these aliens, not to mention their motivations. The story unfolds through the viewpoints of a few major characters, most of them are human, but there is also an alien narrator. The author made a great decision by choosing this structure, for it gives us a chance to look at events from more than one point of view. The other great advantage of this solution is that we, as readers, know nothing more of the story than the characters themselves, so it is our task to decipher what is actually happening, and these assumptions can only be based on excessively alien and bizarre events and situations. It comes without saying that because of this, The Book of Man does not focus on action; one has to pay close attention while reading, for the events do not follow the usual and well-known patterns. And this is for the better, for there are alien beings moving the strings behind the scenes, with aims and thinking that are extremely different from the ones we are familiar with. This is also one of the great assets of the book: apart from a few anthropomorphic features, the aliens are actually alien, and not humans with tentacles or big compound eyes. The most important of the narrators is Attila, who – in addition – is a child, and this brings a new taste and layer into the story. Apart from many other events, the readers can witness how this kid becomes a grown-up; however, there is a different sort of maturity story with wings and photosynthesizing skin… By the end of the novel, we may learn several things about the aliens, who did not came into existence by using the Darwinian way of evolution, like us, human beings did. It will also become clear that this separate and different evolutionary process is the reason behind every difference and the almost complete lack of understanding. As I was reading this novel, Eden by Lem came to my mind on several occasions, which is in no way intended as a derogatory parallel. The encounter of two extremely different cultures was depicted extremely beautifully and believably – with all the misunderstandings and pain. But there is one aspect which is crucially different from Eden: after the two worlds have met, great and irreversible changes happen on both sides. The author managed to successfully tie up the story, yet the novel still has an open ending. It gives the whole book a sort of “some things end, some things begin”-feeling. It goes without saying that The Book of Man is not a flawless piece of literature, some factual errors and limping, style-less sentences tend to break the magic of reading from time to time. What makes this extremely painful is that the book took so much time for the author to write, and these things could have been corrected with just a little bit of proofreading. My other problem stems from the fact that the book actually attempts to evoke reactions from all of our senses: there are sound-veils on the alien planet which emit ear-splitting sounds, not to mention that the aliens do not use voices, but scents to communicate. I grew weary of these voices and scents after a while, for these were described in a very detailed fashion. Apart from this, the extra-terrestrial creatures’ looks had so much diversity that sometimes it was hard to follow. Naturally there is a reason behind that, but all those descriptive sentences were sometimes very disturbing for me, as I prefer plot-, and character-oriented stories. And finally, the portrayal of the characters was not always perfect; this goes double for the villains, who ended up being way too archetypical. Apart from all these, I am extremely happy with this book. Even if we take all its mistakes into consideration, we can say that no such piece of literature was ever written in Hungarian. Primarily I am referring here to the great concept and the elegantly unfolded story; these were things which can be considered fresh and new in the Hungarian literary field. Finally I would like to point out that the book remains extremely enjoyable even after the first reading; it is more than suitable for more re-readings. The novel was built up of a surprising amount of layers, starting with the unbiased description of human nature, to high literature cross talks and the possible destinations of human evolution. The latter is one of the most important themes in the newest novels of Botond Markovics (which could be called as Human-trilogy at this point), and in The Book of Man, he still shows us an interesting, new direction. And to sum it all up, here’s a thought: in our small country, hard SF was a privileged area of Anglo-Saxon authors. But finally we have ourselves an author in this field, one who can make a high-standard piece of work in this subgenre. 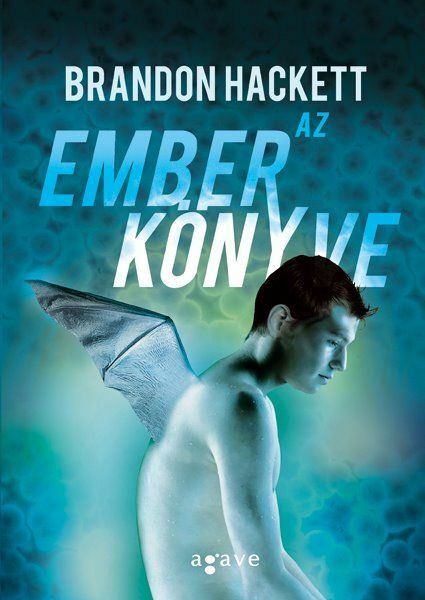 I sincerely hope that this book is merely the first one in the forthcoming long line of Hungarian hard sci-fi novels. It is recommended, and not only for SF-fans. The two previous novels of the author were The Posthuman Decision and Machines of God. I havn’t read it yet, but isn’t that Book of MAN?